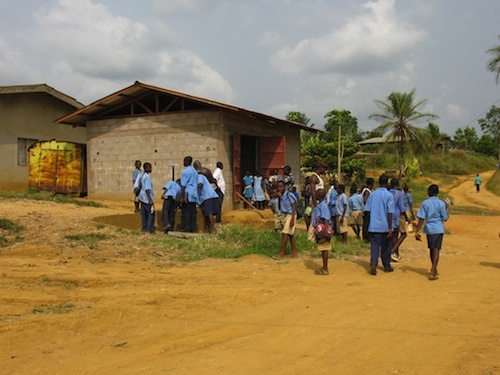 cameroon education french system - Education in Cameroon french region. The Cameroon elementary Education System. Primary elementary education called L' ecole primaire elementaire which starts from age 6 to 11 (6 years ). High school called seconde cycle which runs from age 17 to 19 (3 years). At the high school level starting from troiseime to terminale. At the terminale students sit for the baccauleureat examination which admits students to universty education. Many Lycée are structured in these fashion. In adddition to these general education system, there are a few technical or vocational training schools such as the polytechnic schools. Relative to neighboring nations, Cameroonians are very well educated with a literacy rate of over 60%. The education calendar of Cameroon is also very stable with little to no interruptions throughout the academic year. A growing threat to the continued excellence of Cameroon education is the rapid increase in what has been described as brain drain. The best of graduates from Cameroonian high schools and universities end up abroad in more affluent western nations in search of greener pastures. This trend that started in the mid 1990s is far from slowing down.